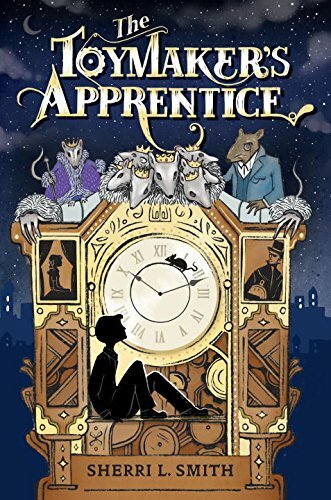 A gorgeously imagined Nutcracker retelling from award-winning author making her middle-grade debut Stefan Drosselmeyer is a reluctant apprentice to his toymaker father until the day his world is turned upside down. His father is kidnapped and Stefan is enlisted by his mysterious cousin, Christian Drosselmeyer, to find a mythical nut to save a princess who has been turned into a wooden doll. Embarking on a wild adventure through Germany, Stefan must save Boldavia’s princess and his own father from the fanatical Mouse Queen and her seven-headed Mouse Prince, both of whom have sworn to destroy the Drosselmeyer family. Based on the original inspiration for the Nutcracker ballet, Sherri L. Smith brings the Nutcracker Prince to life in this fascinating journey into a world of toymaking, magical curses, clockmaking guilds, talking mice and erudite squirrels.